Cat's Claw (Uncaria tomentosa) is a South American plant and widely used in Peruvian traditional herbology. Characteristically, it is a woody vine that grows over 100 feet in length and usually winds its way up the trees of the Peruvian rain forest. 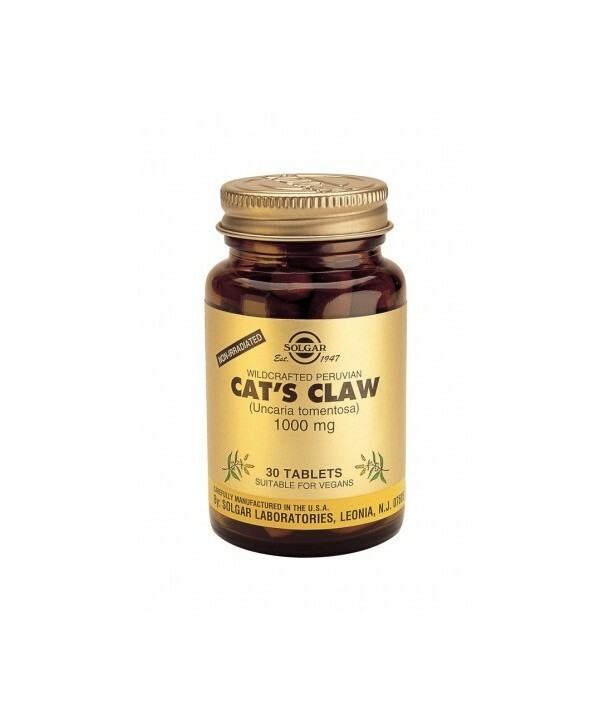 Cat's Claw (Uncaria tomentosa) is a South American plant and widely used in Peruvian traditional herbology. Characteristically, it is a woody vine that grows over 100 feet in length and usually winds its way up the trees of the Peruvian rain forest. The Ashanica and Campa Indians of the Peruvian Amazon known it as Una de Gato (translated as Cat's Claw because of the claw-like thorns) and through the centuries have used the inner bark to prepare a special tea. 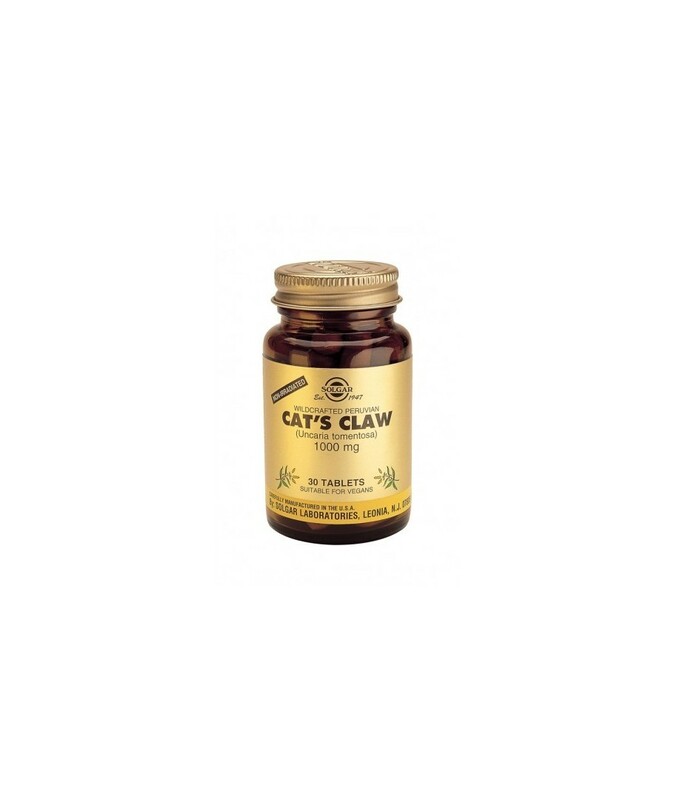 Solgar's Wildcrafted Cat's Claw is harvested in an ecologically sound manner so that the bark may grow back and replenish itself without the destruction of the plant. Suggested Use: As a dietary supplement for adults, take one (1) tablet up to three times daily, preferably at mealtimes, or as directed by a healthcare practitioner.